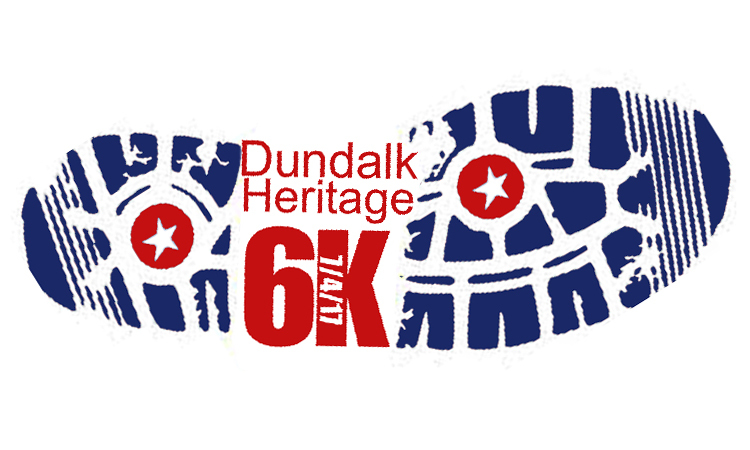 The Dundalk Heritage 6K is a point to point 6K (3.72 mile) road race just prior to the Dundalk 4th of July Parade. Start at CCBC-Dundalk and follow the parade route through Old Dundalk while thousands of spectators cheer you on, with the finish at the Dundalk Middle School on Dunmanway! The course is flat and scenic! Park at the CCBC-Dundalk campus by 6:30 am to participate in the 7 am start. Final registration 6 to 6:45 am. Water station a tthe halfway mark, with refreshments and awards at the finish. Shirts will be provided to those who registered first, so please register early!